Today’s Peanut’s cartoon reminds me of the birds we saw at the Jacksonville Zoo recently. It had rained before and it rained while we were visiting. In Where Am I Found? 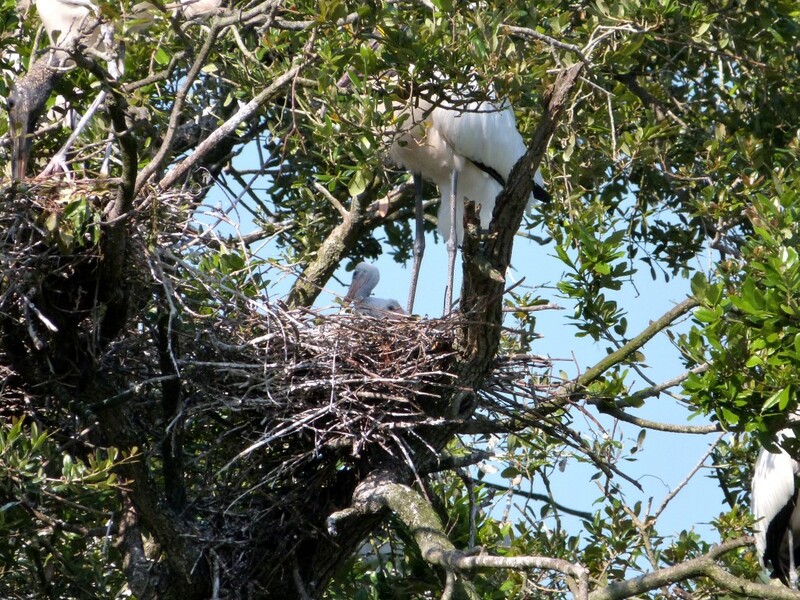 – Abdim’s Stork, the first photo showed the stork still wet. 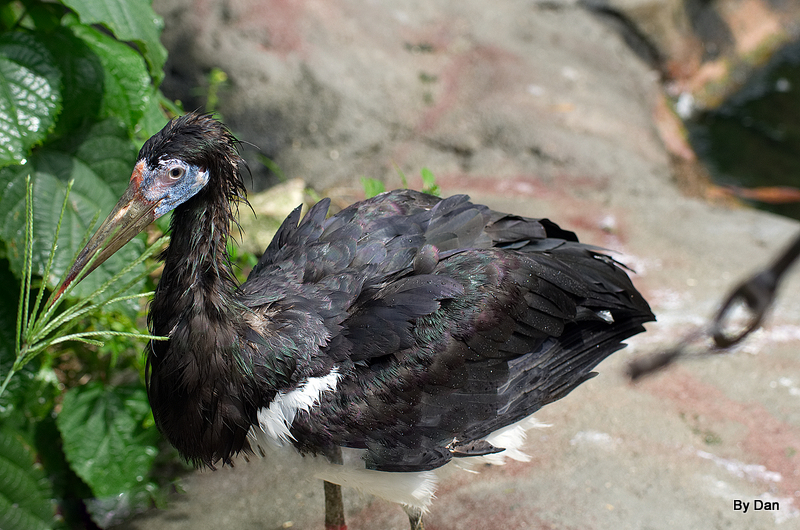 Dan just showed me his photo of the Stork, which definitely shows a wet bird hairdo. There were a few others that were not up to their normally sleek appearance. 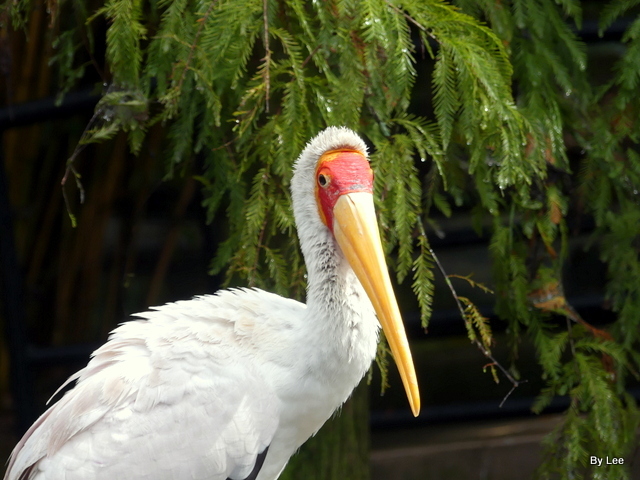 Another wet avian wonder was the Yellow-billed Stork. 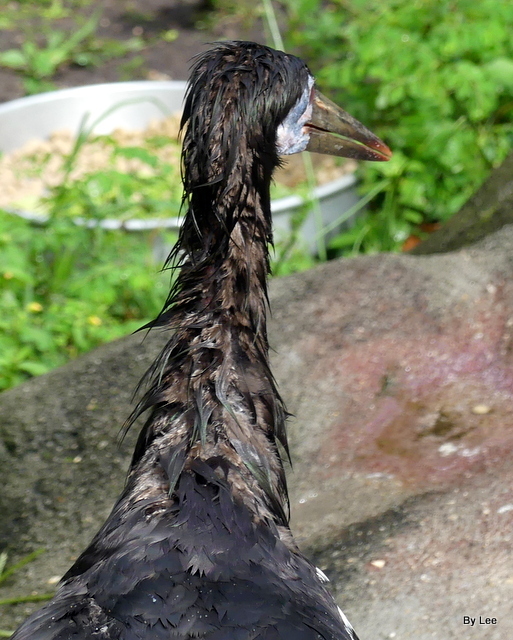 He was damp, but not as wet as the Abdim’s Stork. 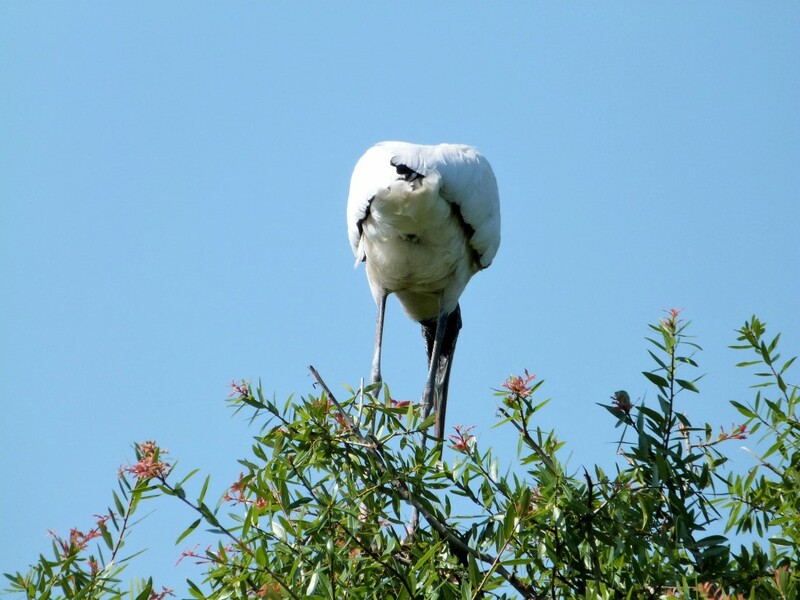 Are you taking a picture of me like this when I am not preened? 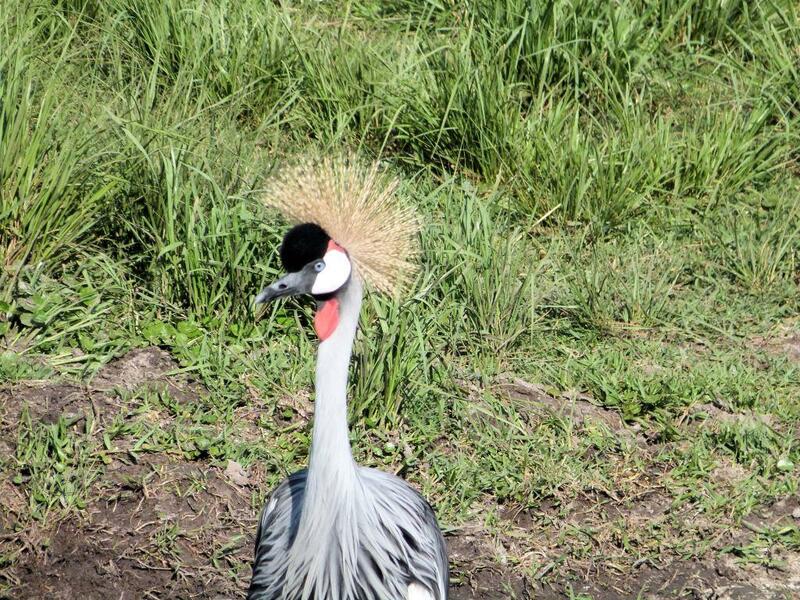 This is why you see so many birds preening. 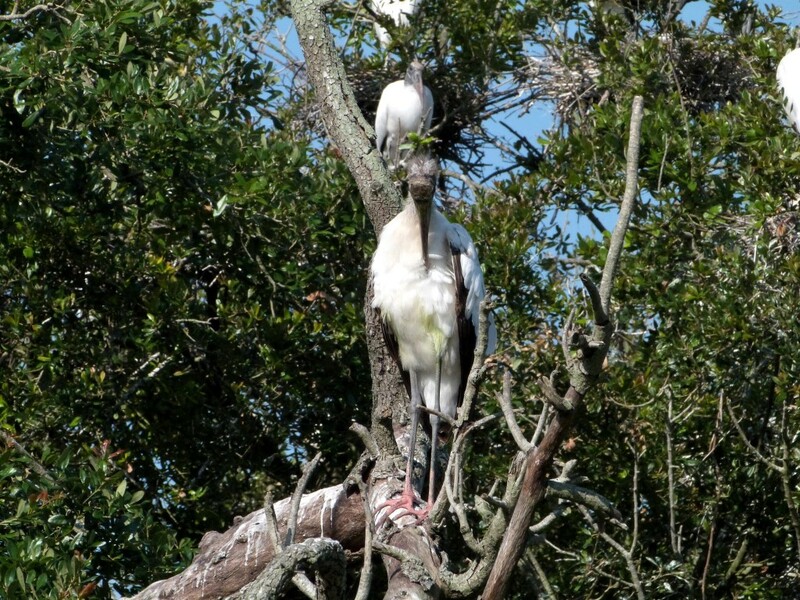 The Roseate Spoonbill was busy straightening and drying its feathers. We here in Florida are preparing for Hurricane Irma to impact our state in the next few days. Dan and I have put in our supplies, and our just waiting to make a final decision to stay or go to a shelter. When we lived in Fort Lauderdale years ago, we went through the fringe of Hurricane Andrew. 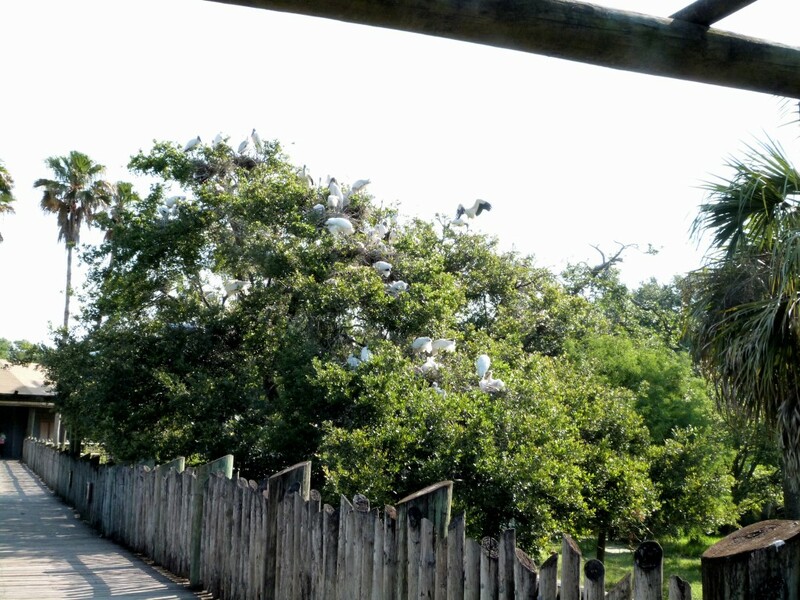 As you know, we like to visit zoos, especially Zoo Miami. 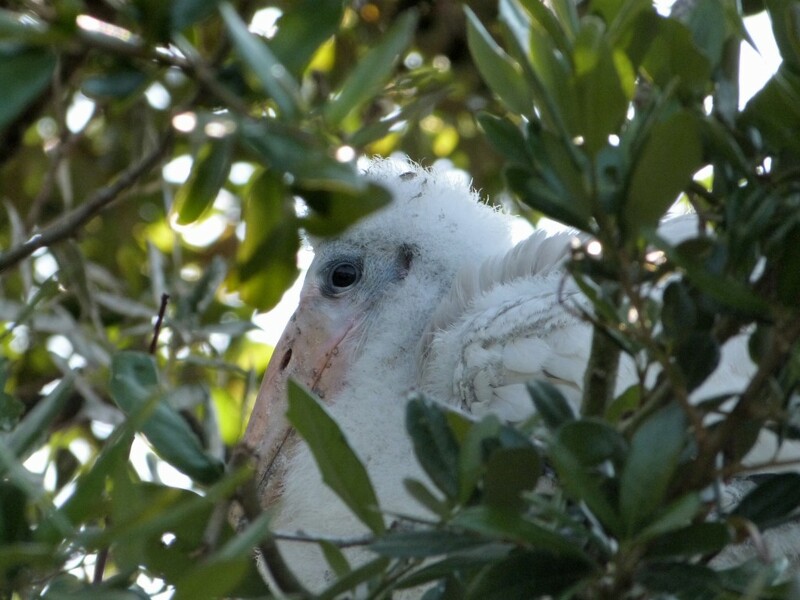 During Andrew, the then Miami Metro Zoo was devastated. Thankfully, it was rebuilt and renamed Zoo Miami. Thought I would check to see what is being done around the state at some of our favorite Zoos. 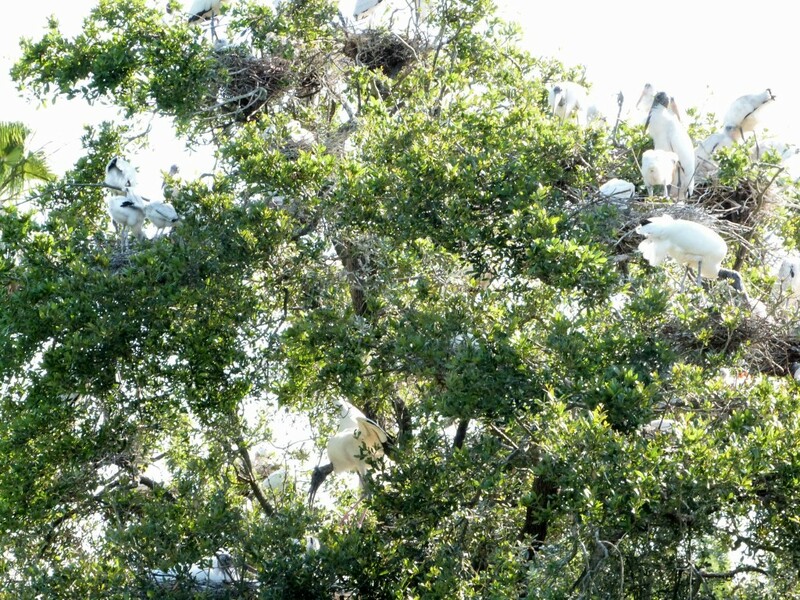 What I found was more of what they did in previous hurricanes to protect the animals. Zoo Miami is right in the path of a direct hit from Irma. 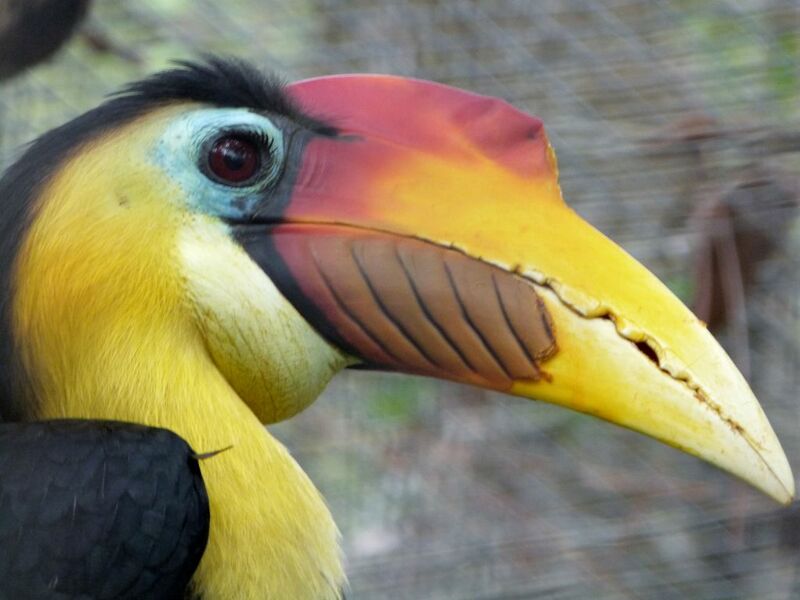 The Wings of Asia aviary was built to new strong hurricane strengths, and we trust it can stand up to this new threat. Here are some links to what preparations are happening. 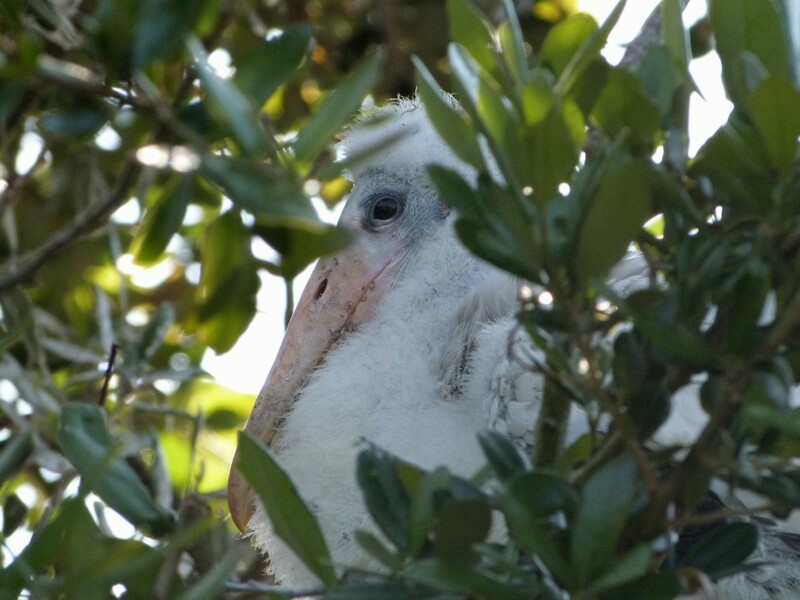 “Zoo Miami’s flamingos won’t be riding out Hurricane Irma in a bathroom like they were 25 years ago when Hurricane Andrew devastated the park. 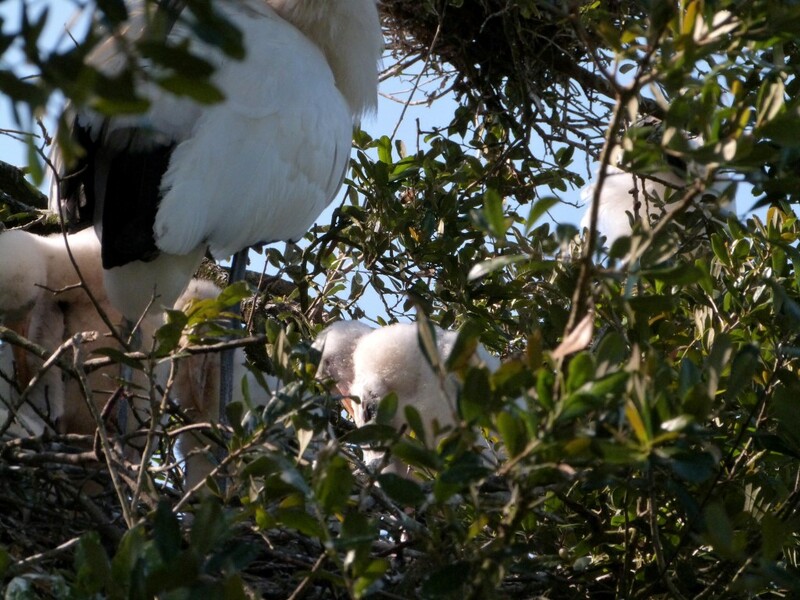 Instead, the park’s majestic birds will be inside their steel and concrete enclosure—an upgrade from the iconic photo that shows the birds huddled in a hay-filled bathroom. 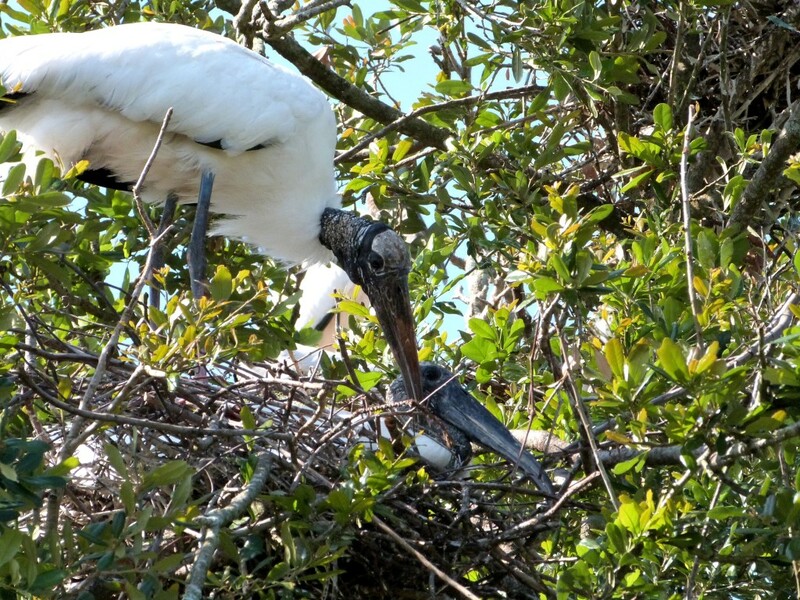 “It’s one of the things we learned from Andrew,” said Ron Magill a spokesman for Zoo Miami. “They will be safe.” CLICK THE LINK TO READ THE REST. Here are two clips from the Hurricane Andrew damage. 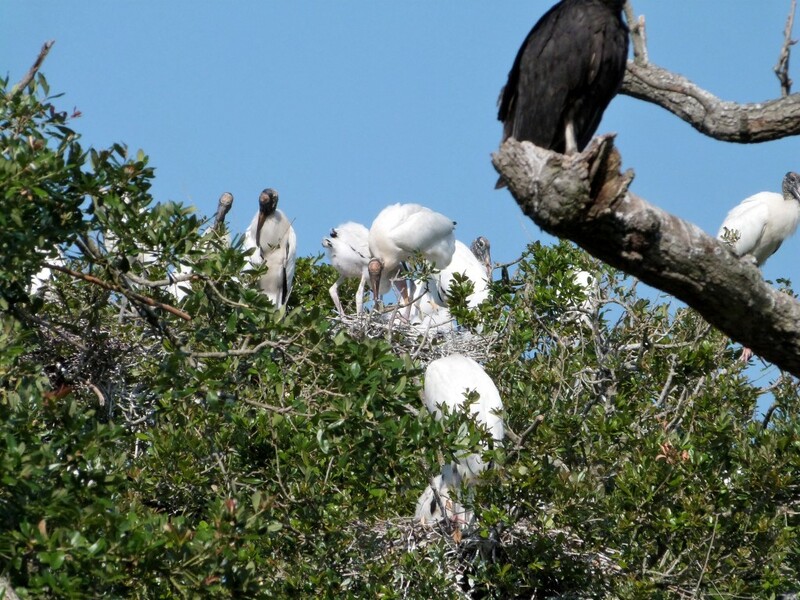 “VIERA — Officials at Brevard Zoo, like a lot of people, are keeping a careful eye on Hurricane Irma. But as of now it’s business as usual for the zoo staff and the 800 animals there. 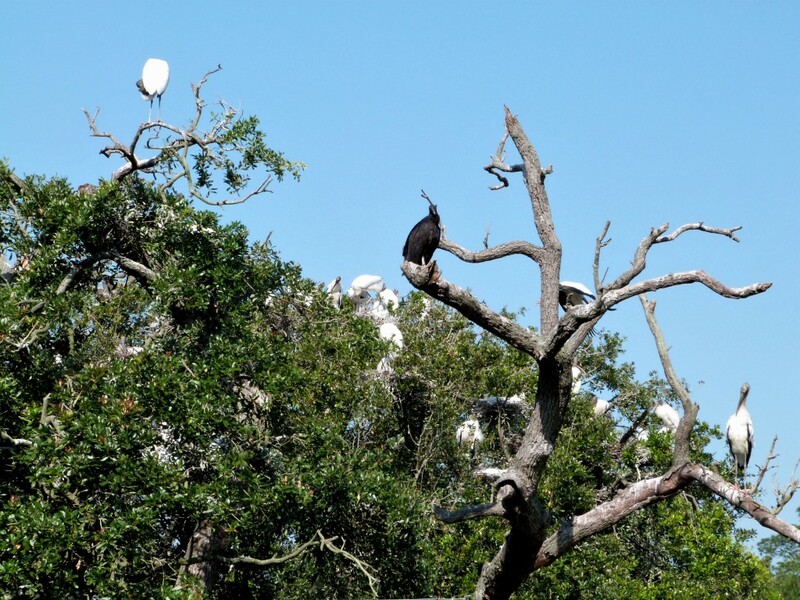 Elliot Zirulnik, the communications manager at the zoo, said the zoo has a hurricane plan in place, which includes two-week stockpiles of food for the animals. 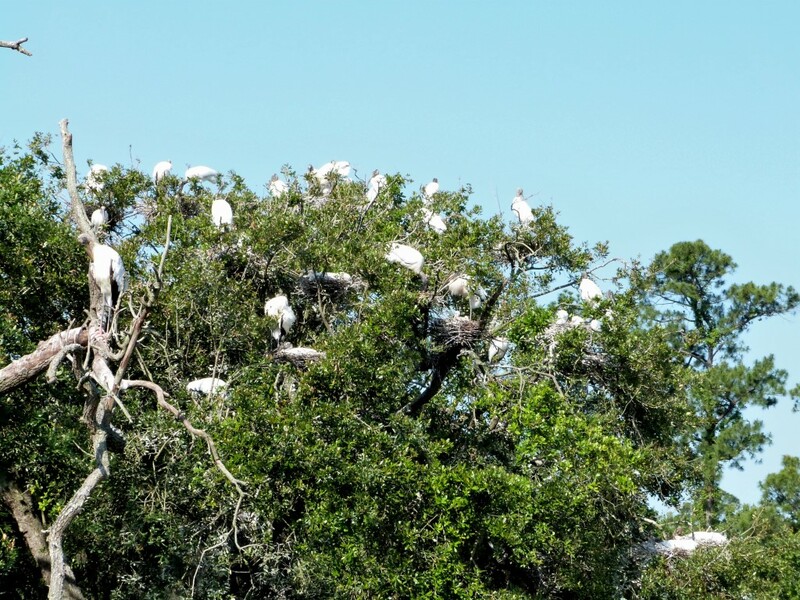 If a hurricane warning is issued for the area, then zoo staff will work on securing the animals. 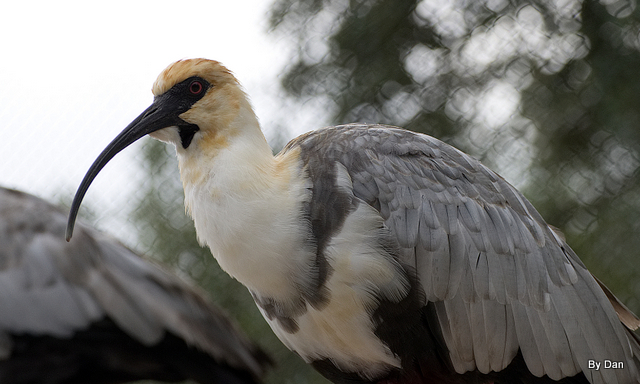 The 800 animals at the zoo consist of 165 species. “It’s a lot of work but it’s something our team is prepared for,” Zirulnik said. Couldn’t find where they have written about the current hurricane approaching, but here is an interesting article about last year when Hurrican Matthew came through. The Lord is in control of this storm and already knows where it will go, what and who will be affected by Hurricane Andrew. 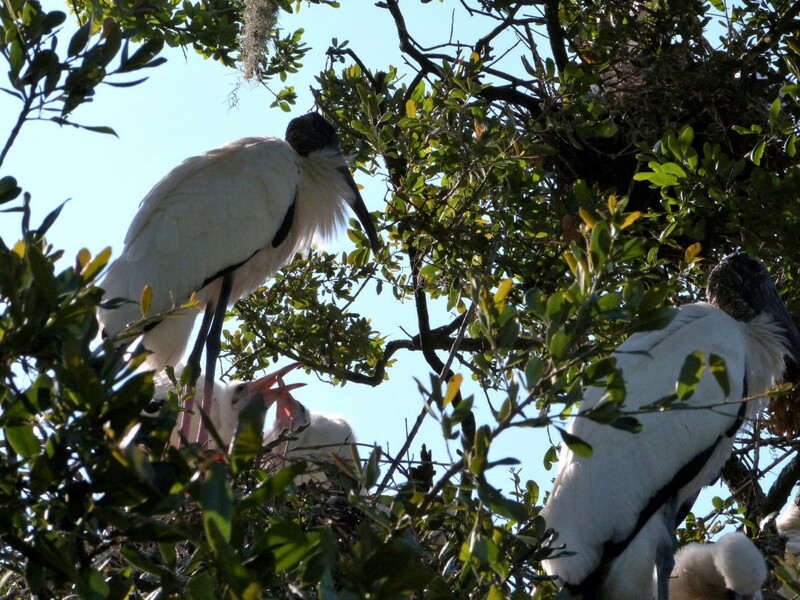 Your prayers for our residents of Florida; both we humans and the critters. 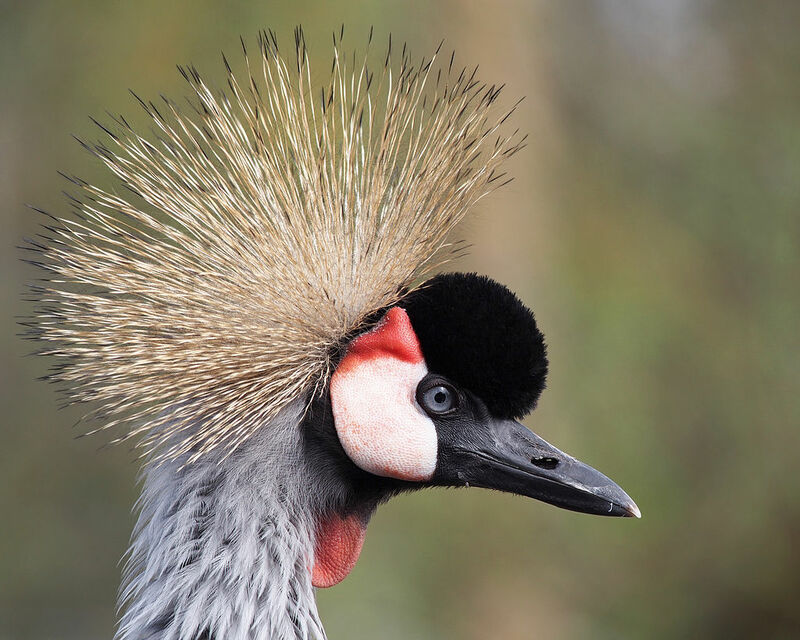 Originally this was going to be about the Grey Crowned Crane at Jacksonville Zoo and other zoos, but the bird genus Balearica (also called the crowned cranes) consists of two living species in the crane family Gruidae: the Black Crowned Crane (B. pavonina) and the Grey Crowned Crane (B. regulorum). 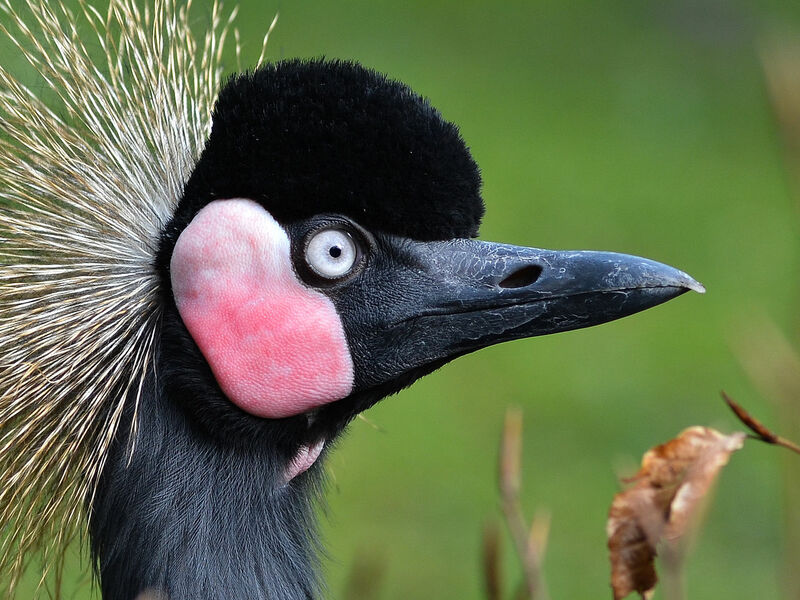 The species today occur only in Africa, south of the Sahara Desert, and are the only cranes that can nest in trees. 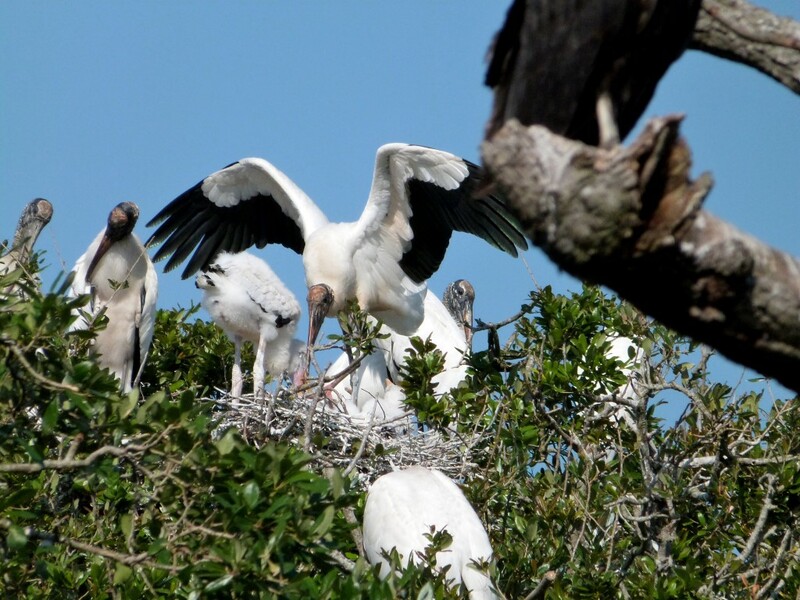 This habitat is one reason why the relatively small Balearica cranes are believed to closely resemble the ancestral members of the Gruidae. 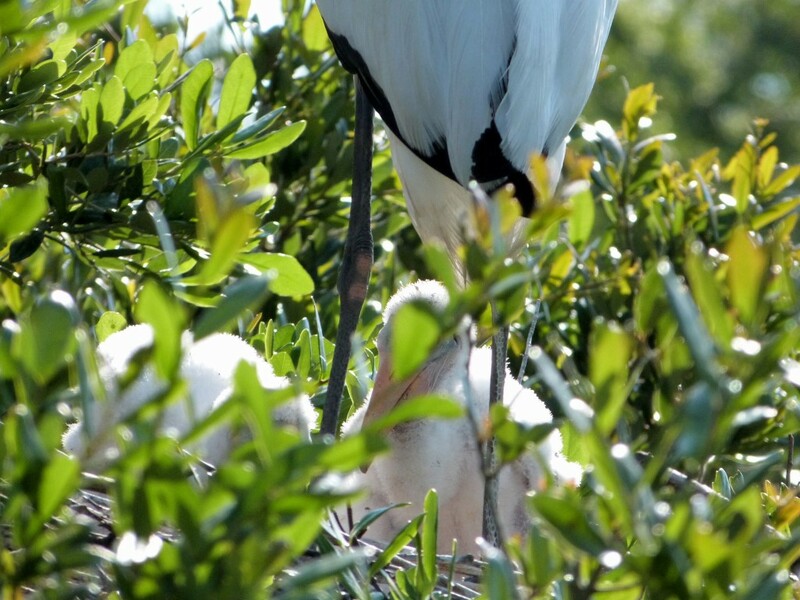 Like all cranes, they eat insects, reptiles, and small mammals. While looking for information, I realized my first impression was incorrect. 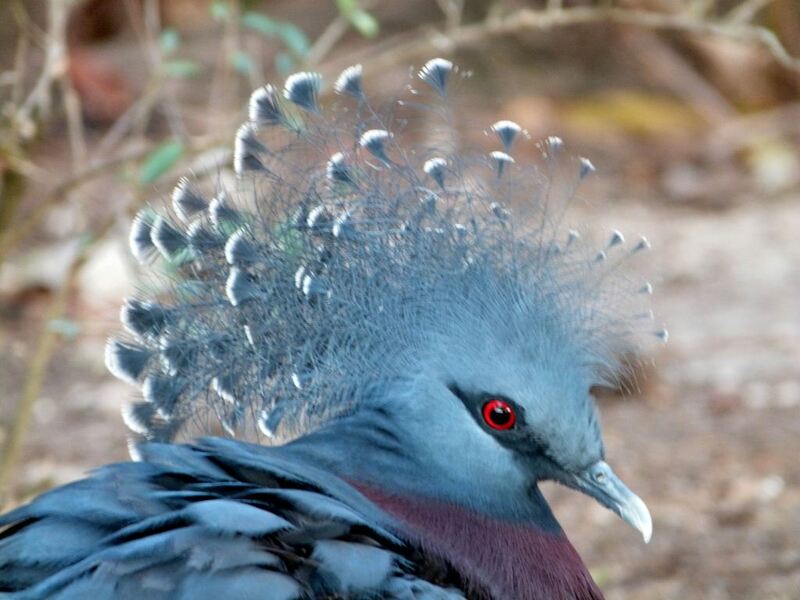 The Grey Crowned has a grey crown, so while searching our photos the Black Crowned also had the same color crown. At first, I thought I had mislabeled them. Searching Wikipedia, I found these two super photos and decided to share them. You can see that the face is unique in each. The Grey has the red at the top of the patch on its cheek. The Black has the red or pink at the bottom of that cheek. There are other things about them, but this was interesting for me. For me, I will have to keep observing and learning. May none of us every get “bored” watching the Lord’s Creations. Here is an introduction to another of the Lord’s neat creations. This one can be quite noisy at times. Not sure if that qualifies as a “joyful noise.” We have seen them at the Jacksonville Zoo and the Cincinnati Zoo. 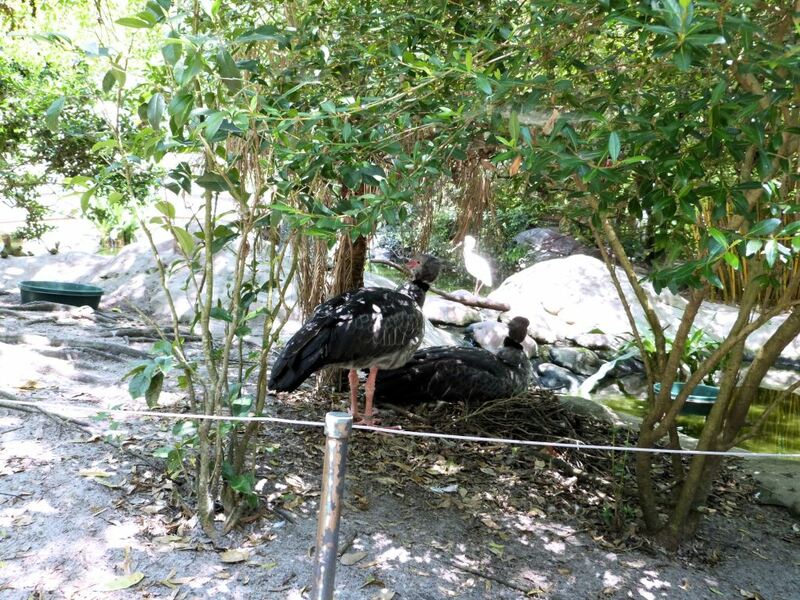 The southern screamer (Chauna torquata), also known as the crested screamer, belongs to the order Anserformes. 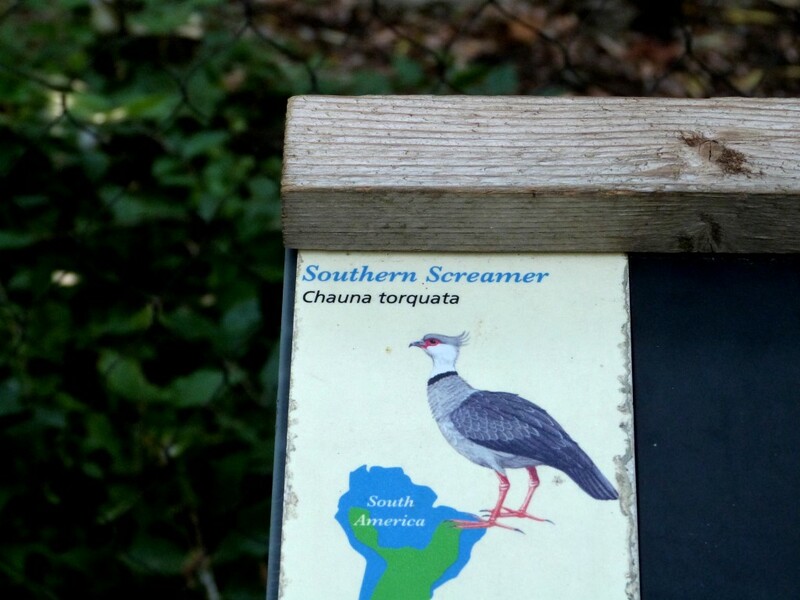 In the Anhimidae – Screamers Family. It is found in southeastern Peru, northern Bolivia, Paraguay, southern Brazil, Uruguay and northern Argentina. Its diet consists of plants stems, seeds, leaves, and, rarely, small animals. 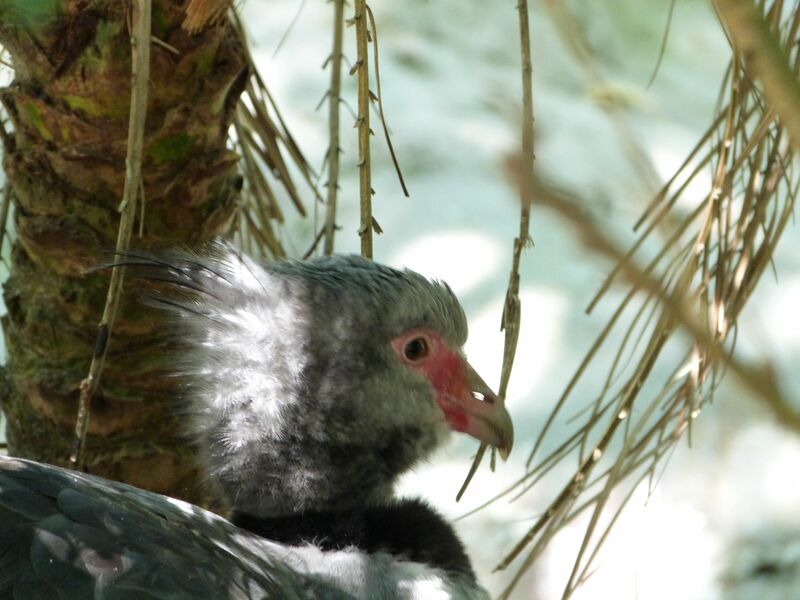 The southern screamer averages 32–37 in (81–95 cm) long and weighs 6.6–11.0 lb (3–5 kg). They are the heaviest, although not necessarily the longest, of the three screamers. The wingspan is around 67 in (170 cm). 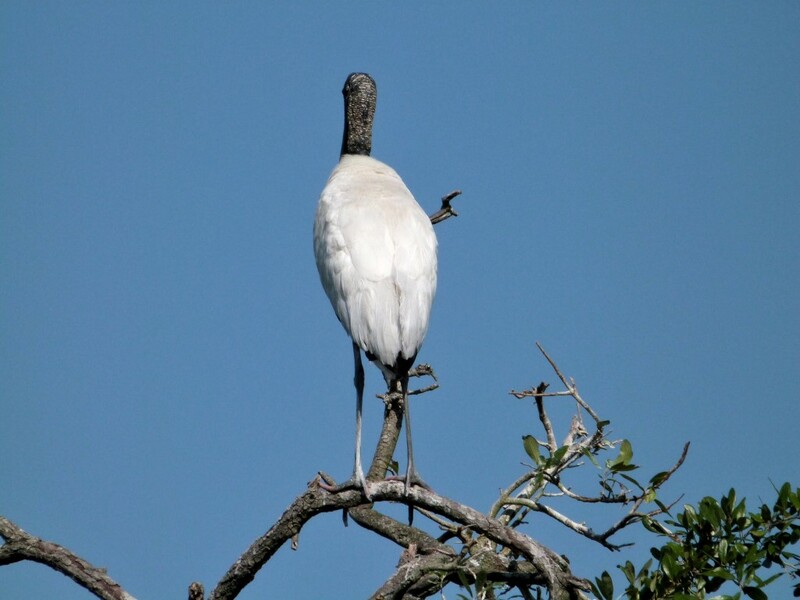 Among standard measurements, the wing chord measures 21 in (54 cm), the tail 9.1 in (23.2 cm), It lives in tropical and sub-tropical swamps, estuaries and watersides. 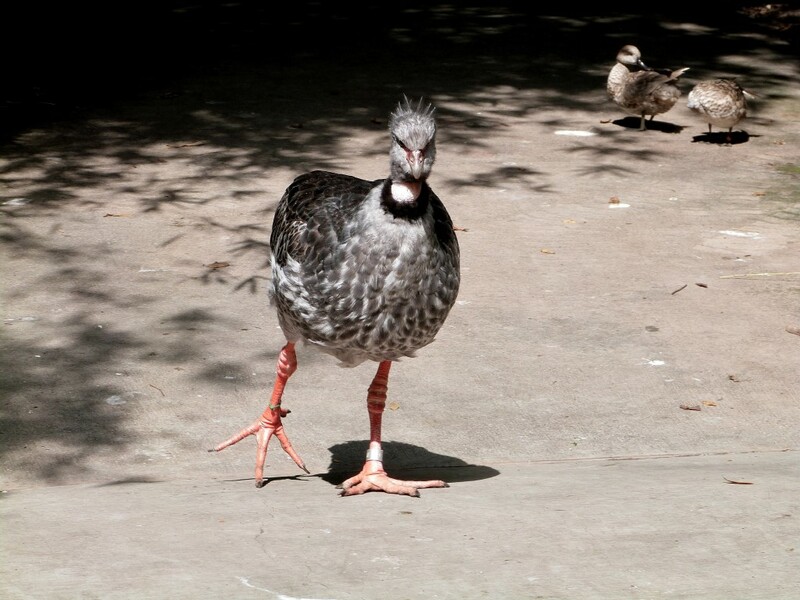 The southern screamer is a good swimmer, having partially webbed feet, but prefers to move on the ground. The bony spurs on its wings are used for protection against rival screamers and other enemies. 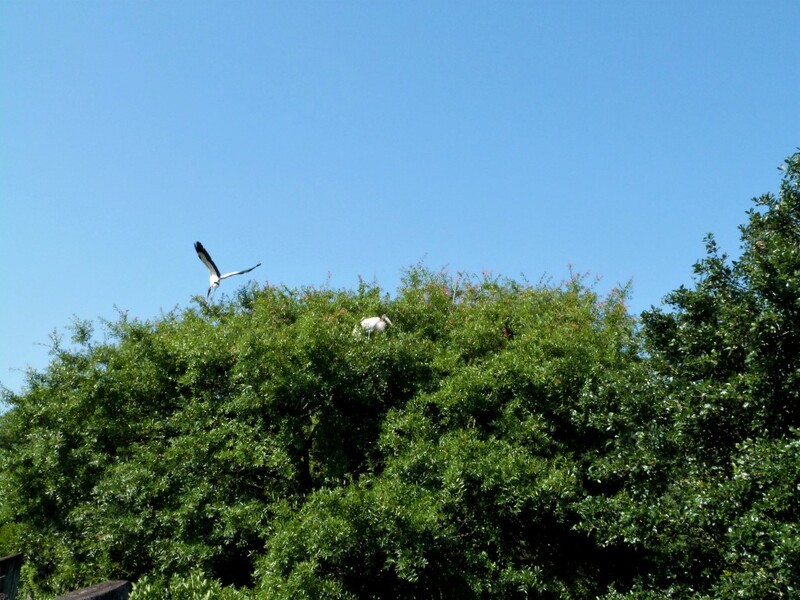 Although it is non-migratory, it is an excellent flier. It lives in large flocks, feeding on the ground in grasslands and cultivated fields until nesting season, when birds pair off. 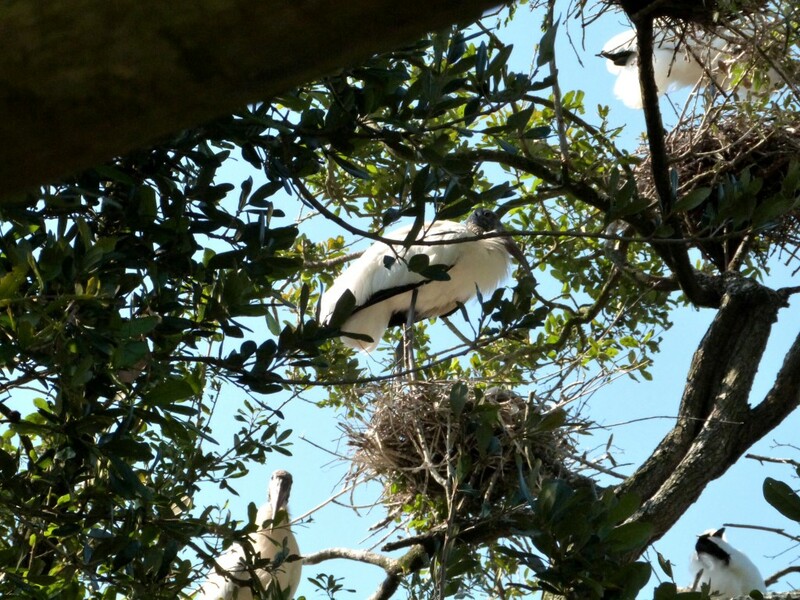 Last week while we were at the Jacksonville Zoo, we noticed a tree loaded with Wood Stork nests. It was hard to miss as you could hear it from far away. 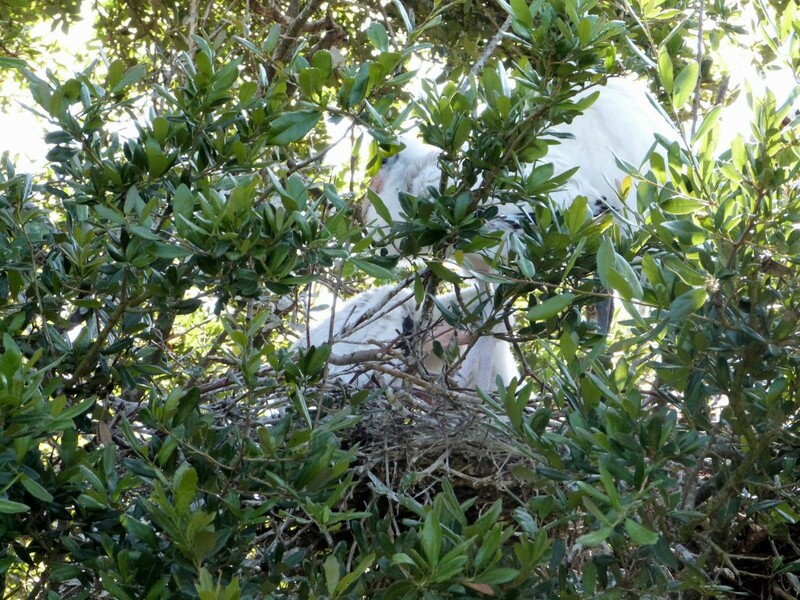 As you watch the videos, you will hear the noise coming from all the nest. The tree was right by the boardwalk, so we were very close to them. 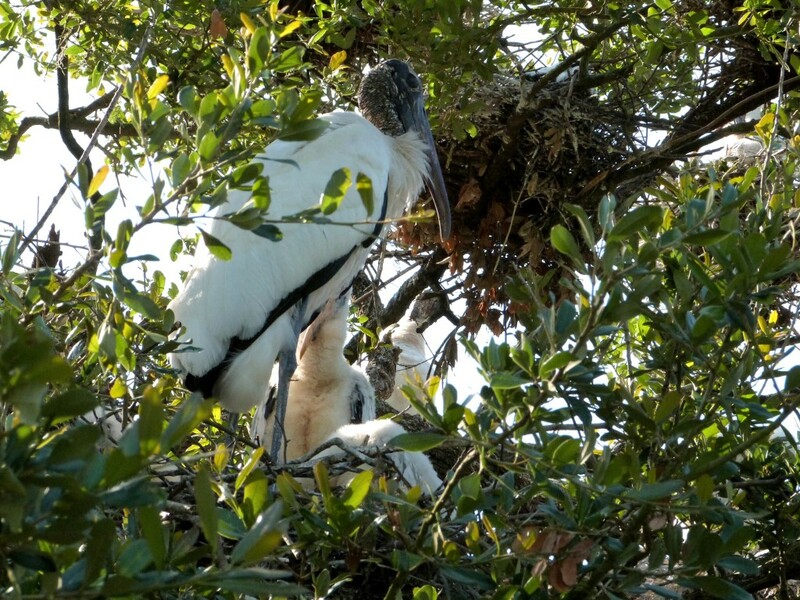 Wood Storks are part of the Ciconiidae – Storks Family and are also mentioned several times in Scripture. 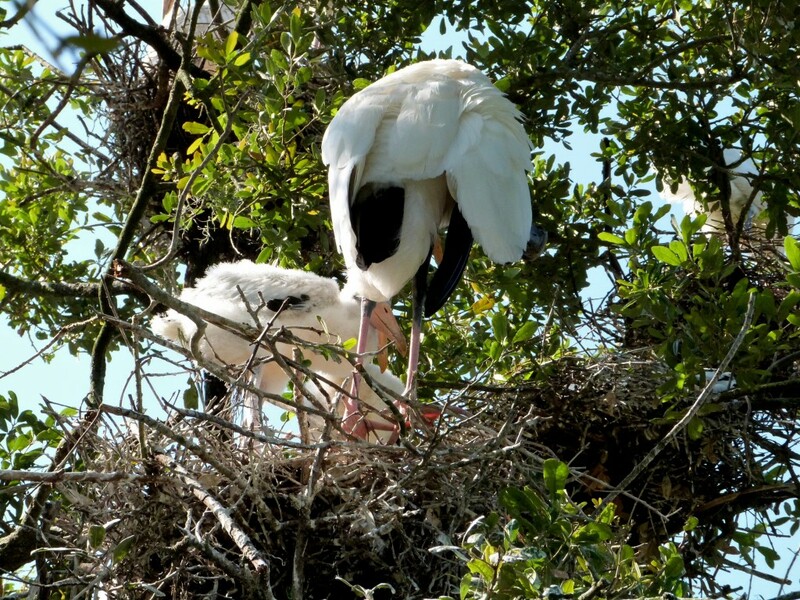 That makes them one of the Birds of the Bible – Storks. 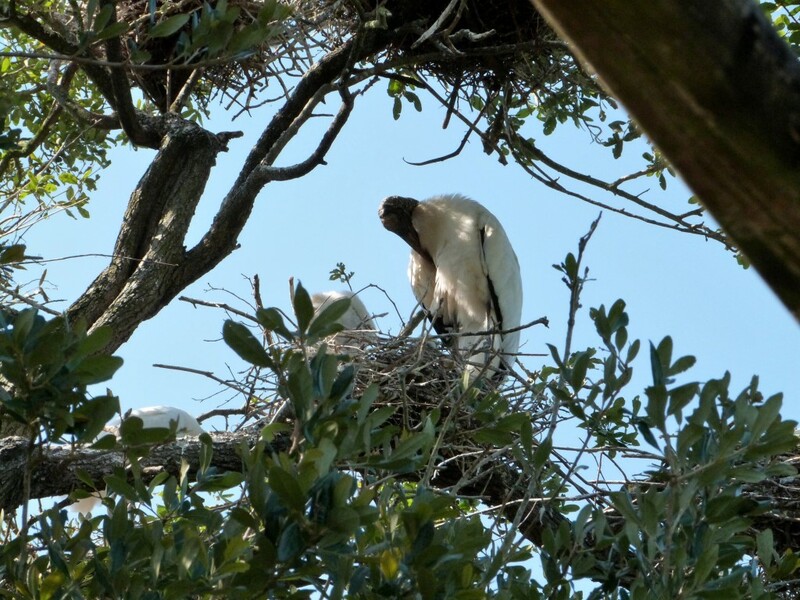 We are fortunate in that we get to see Wood Storks quite frequently here in Polk County, Florida, especially out at the Circle B Bar Reserve. 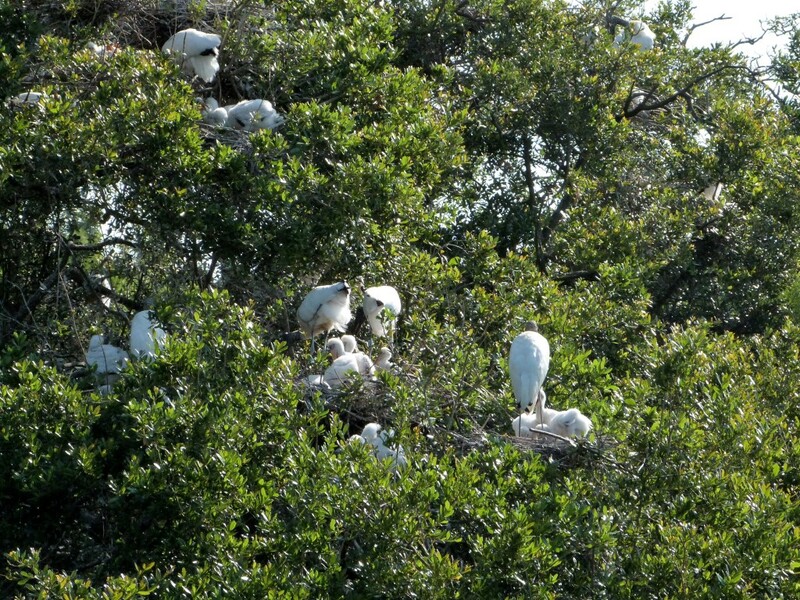 Circle B is one of my favorite places to go birdwatching. 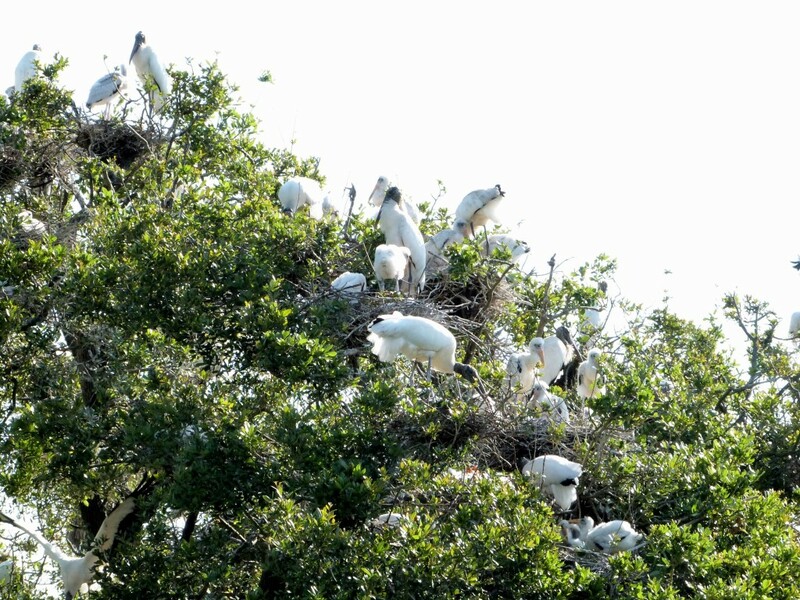 Yet, I have never seen the nest up close like this. After taking photos and videos, I found three young one showing how the noise was produced. 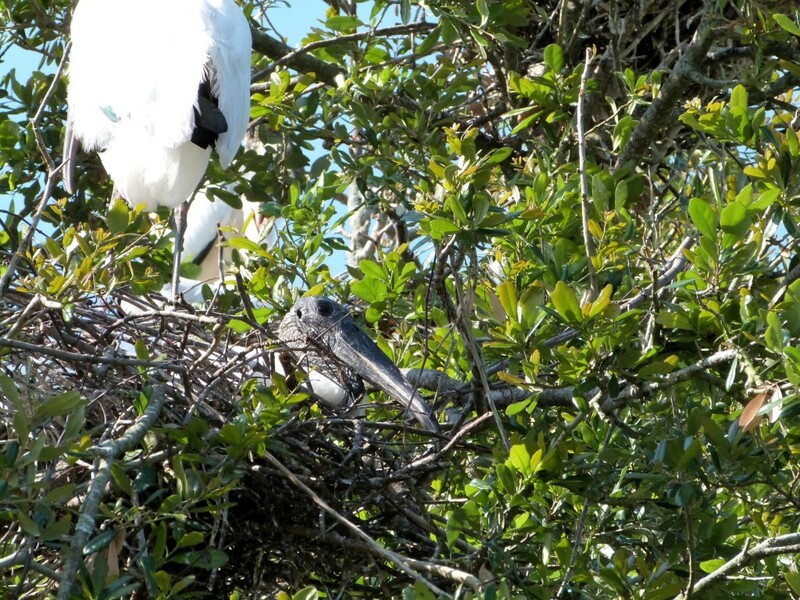 Now multiply that by all the other nest with young ones doing the same thing. Hope you don’t mind seeing some of the photos also. These are set up so you can see them larger. 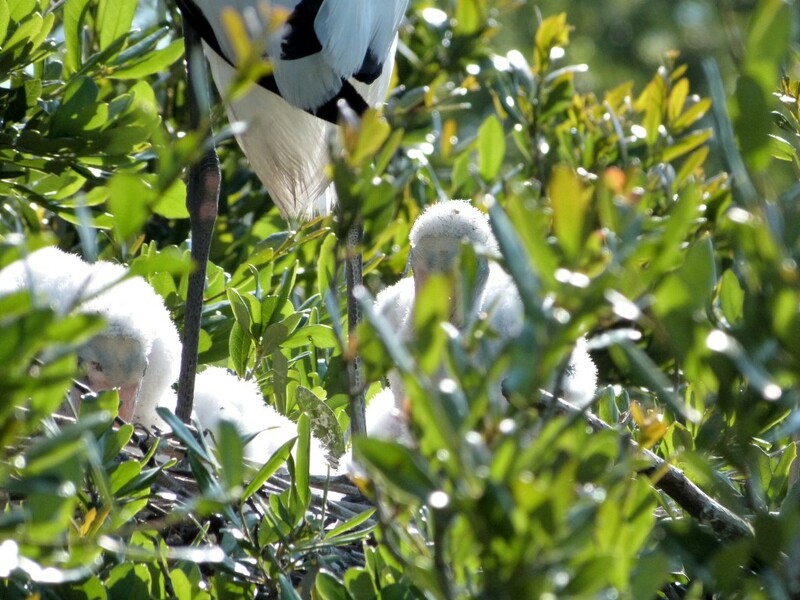 Enjoy the Lord’s Creation in the form of Wood Storks. 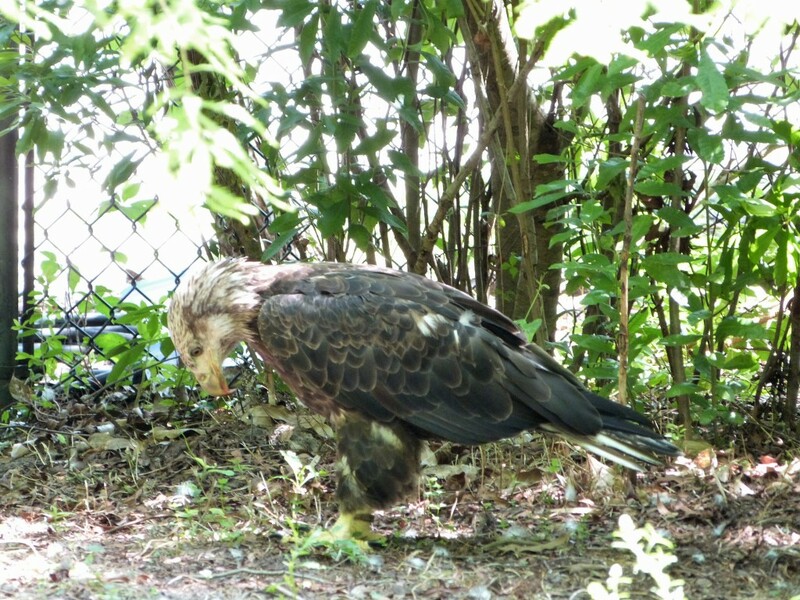 Last week at the Jacksonville Zoo, we saw this “rag-tag” Eagle. We found out that he is around five years old and has been going through his transition. They said that in the last two weeks he has really started to change. 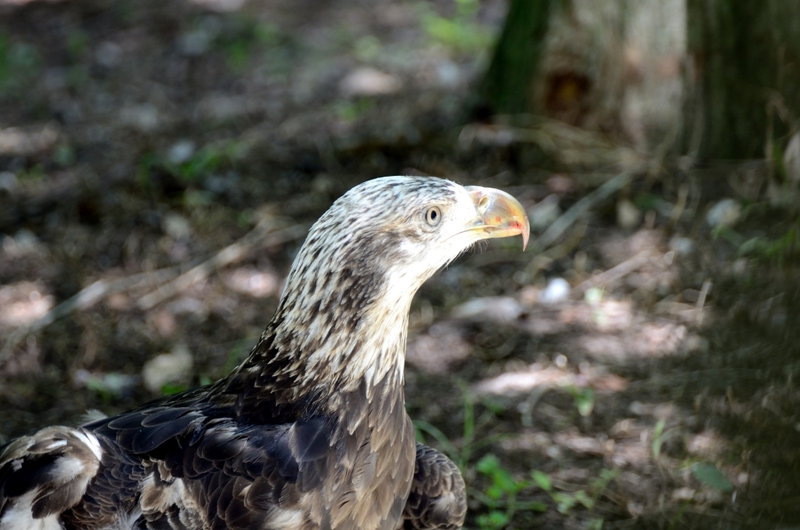 As you may know, Bald Eagles get their “bald” head when they mature. I have seen Eagles with an all black heads and the all white heads, but never in the process of maturing. I am glad that we were able to see him in this stage of his life. Actually, it may be a “she.” I forgot to ask. 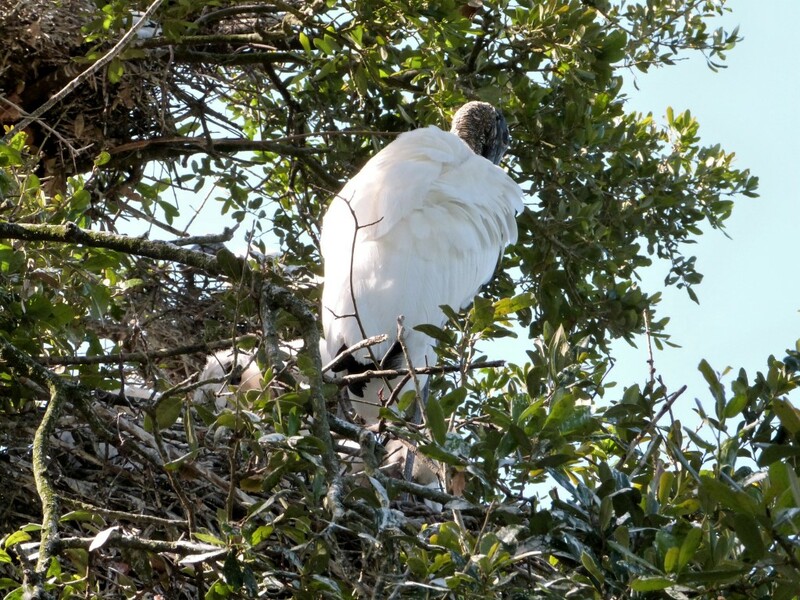 Both male and females get the “bald” head after about five years of so. The above verse, “so that thy youth is renewed like the eagle’s.” reminds of the Lord’s watch-care of the birds, but more importantly, over us. When I see this eagle, it reminds me of times when we mature as Christians. Sometimes we seem a little “rag-tag” in our development, but as we keep our eyes on the Lord, He helps us mature as we should. 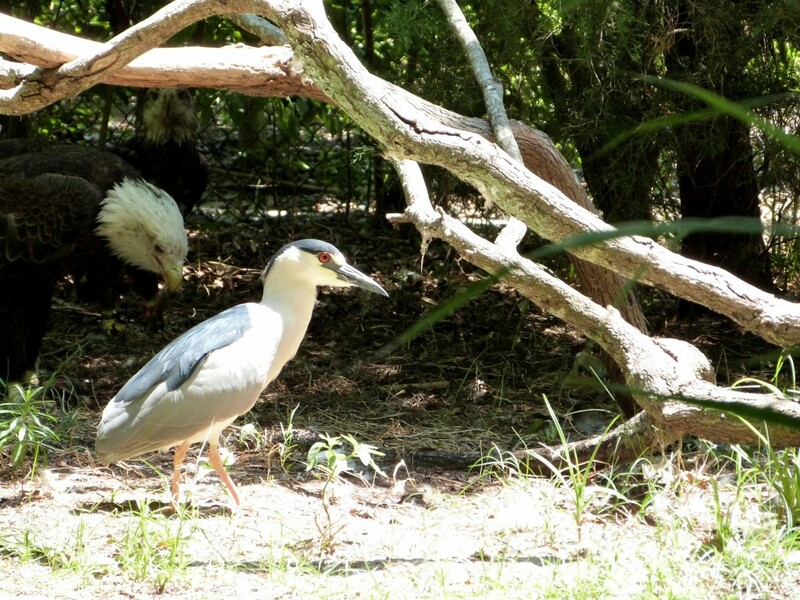 Here are some of the photos we took of the two eagles and a friendly Black-crowned Night-heron that was keeping them company. The Heron was wild and flew out later. These two Eagles were injured and can never return to the wild. 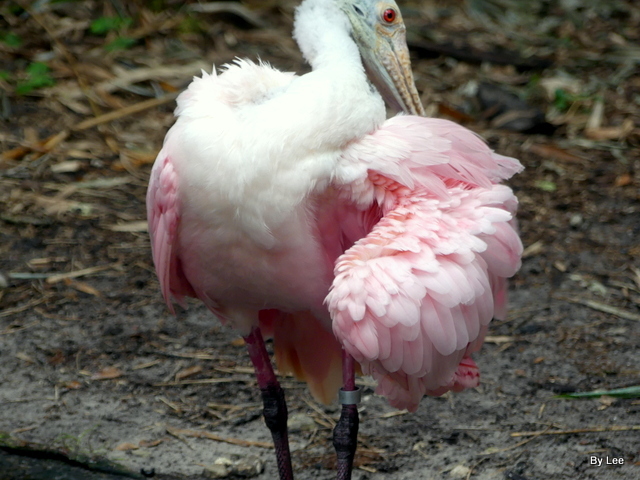 We just got back from a trip to Jacksonville, FL and a visit to the Jacksonville Zoo. I haven’t had time to go through the photos yet, but wanted to share two of the videos. 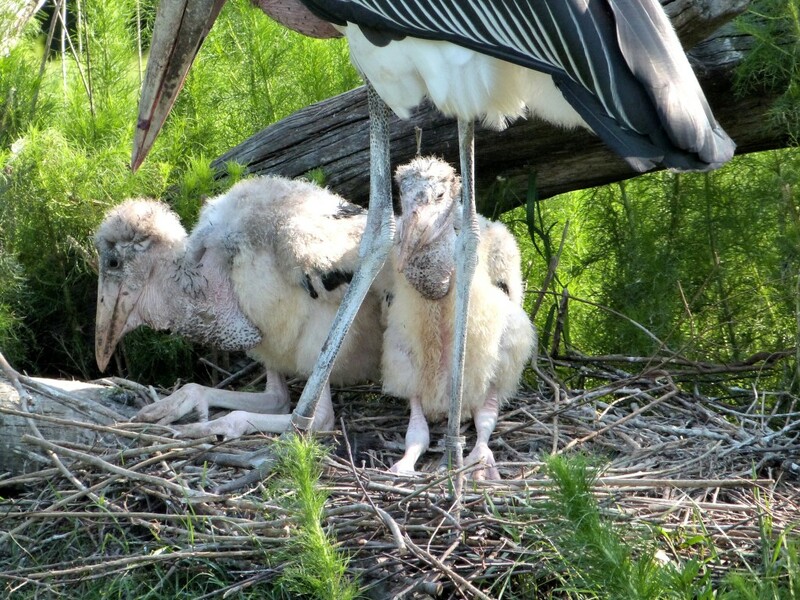 The first one is two Marabou Stork chicks with a parent. They are not any better looking as a youngster than their parents are. 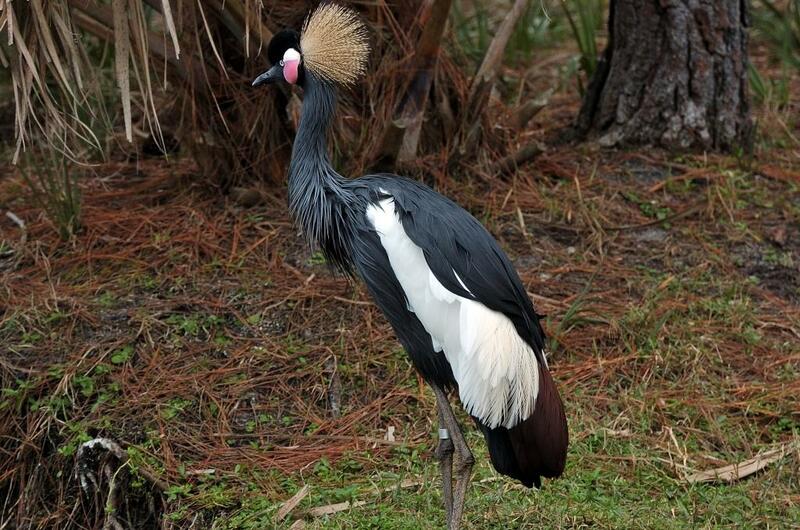 We see them at the Lowry Park Zoo frequently, but never saw them with a chick. 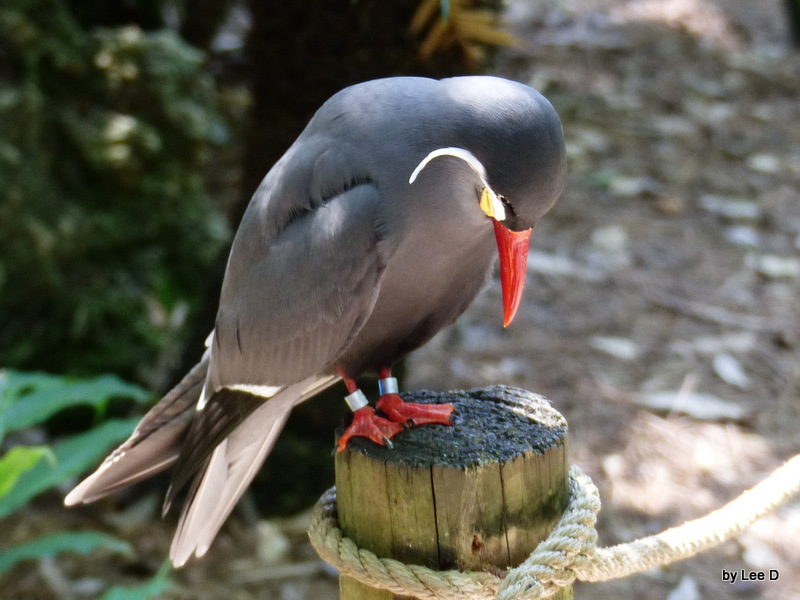 The Inca Tern (Larosterna inca) is a seabird in the Laridae – Gulls, Terns and Skimmers – Family. It is the only member of the genus Larosterna. This is short because we are still unpacking. The Lord gave us a great trip and traveling mercies. I have many nice videos and photos to share. Stay tuned. 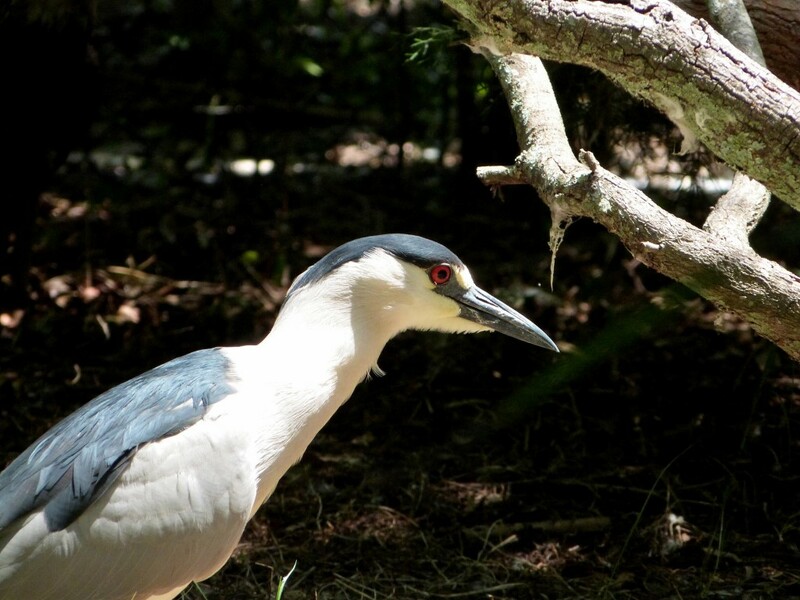 We went on a trip last year and we stopped by the Jacksonville Zoo on the way. 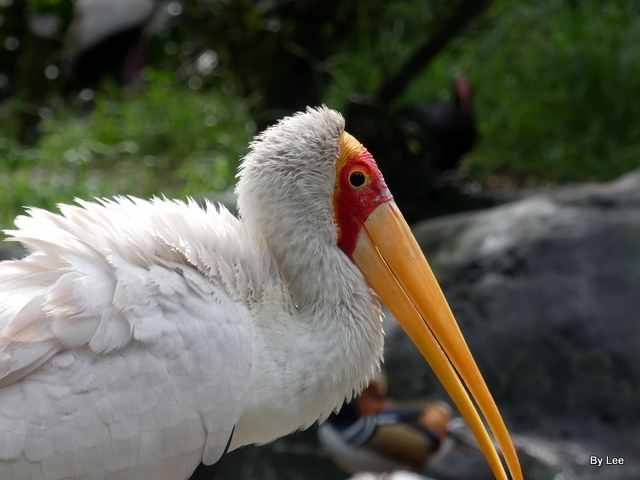 Dan recently posted his favorite photos of the zoo on his webpage, Dan’s Pix. I place my photos up on line right away, but he takes time to get them just right before they are posted. That is why his are so much better and the fact that he uses much better photography gear than I do. I trust you will enjoy them. Feel free to check out his other great photos – Dan’s Pix home page. Checked with Wikipedia to see what they say about the Thick-knee. It is actually the Double-striped Thick-knee (Burhinus bistriatus). They are related to the stone-curlews. They are in the Burhinidae Family which has ten species of Thick-knees and Stone-curlews. According to the Chicago Zoo, their Cape Thick-knee is the Double-striped and Wikipedia says it is the Striped Thick-knee. I am not sure if what we saw is the one or two striped bird, so we will call it the Cape. It is a resident breeder in Central and South America from southern Mexico south to Colombia, Venezuela and northern Brazil. 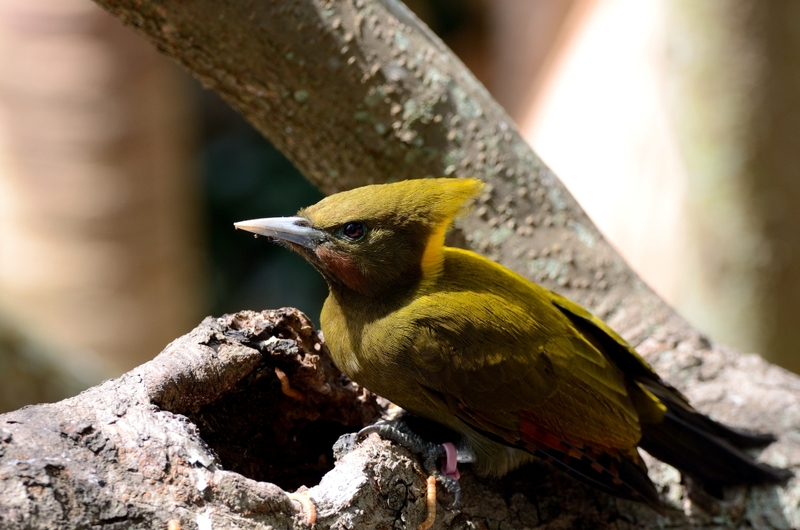 It also occurs on Hispaniola and some of the Venezuelan islands, and is a very rare vagrant to Trinidad, Curaçao and the USA. This is a largely nocturnal and crepuscular species of arid grassland, savanna, and other dry, open habitats. 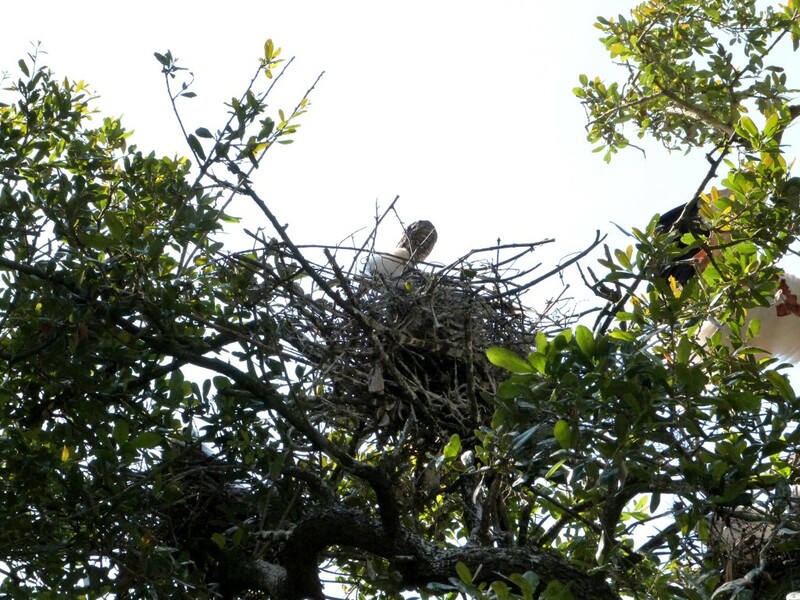 The nest is a bare scrape into which two olive-brown eggs are laid and incubated by both adults for 25–27 days to hatching. 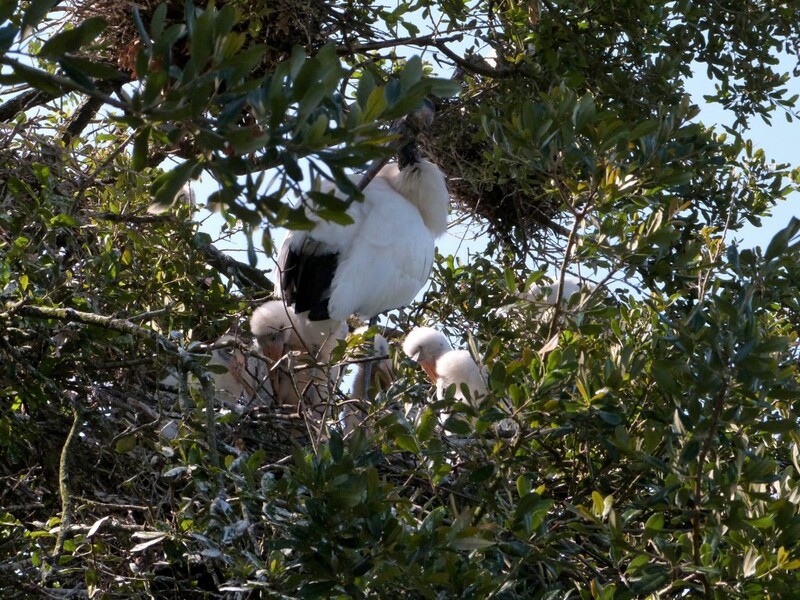 The downy young are precocial and soon leave the nest. The Double-striped Thick-knee is a medium-large wader with a strong black and yellow bill, large yellow eyes, which give it a reptilian appearance, and cryptic plumage. The scientific genus name refers to the prominent joints in the long greenish-grey legs, and bistriatus to the two stripes of the head pattern. The adult is about 46–50 cm long and weighs about 780-785 g. It has finely streaked grey-brown upperparts, and a paler brown neck and breast merging into the white belly. The head has a strong white supercilium bordered above by a black stripe. 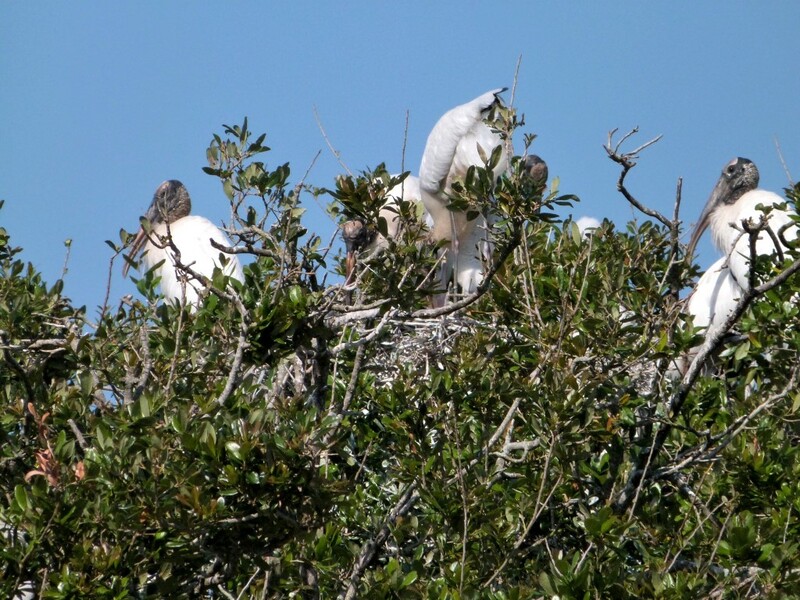 Juveniles are similar to adults, but have slightly darker brown upperparts and a whitish nape. Double-striped Thick-knee is striking in flight, with a white patch on the dark upperwing, and a white underwing with a black rear edge. 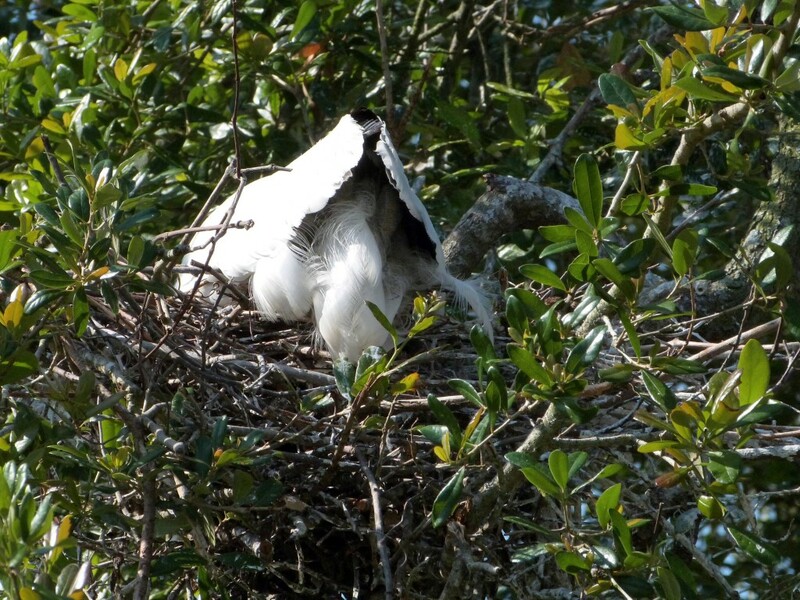 However, it avoids flying, relying on crouching and camouflage for concealment. The song, given at night, is a loud kee-kee-kee. There are four subspecies, differing in size and plumage tone, but individual variation makes identification of races difficult. The Double-striped Thick-knee eats large insects and other small vertebrate and invertebrate prey. It is sometimes semi-domestcated because of its useful function in controlling insects, and has benefited from the clearing of woodlands to create pasture.